Coins 12 Greek Italy. Central and Southern Campania, Neapolis. 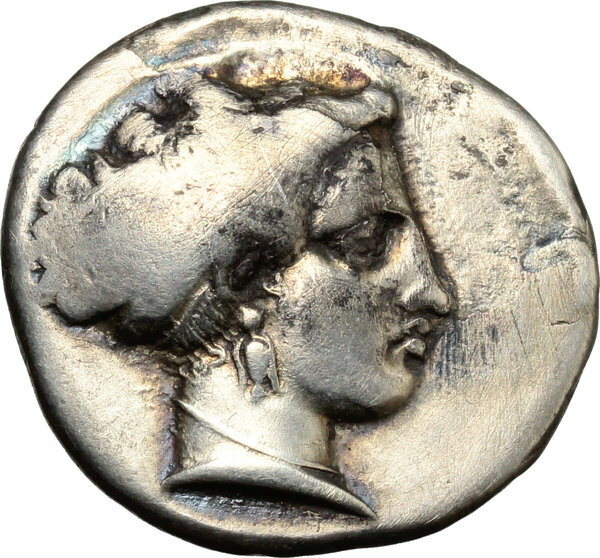 AR Stater, 300-260 BC. D/ Head of nymph right. 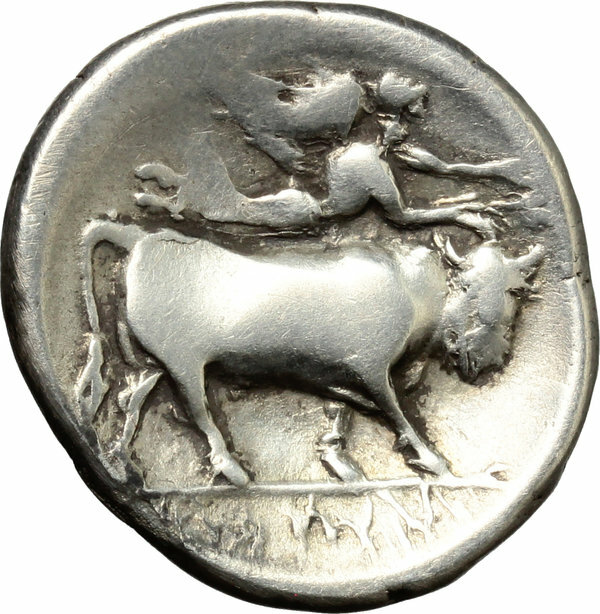 R/ Man-headed bull advancing right; above, Nike flying holding palm branch. HN Italy 579. AR. g. 7.05 mm. 23.00 Light patina. About VF.